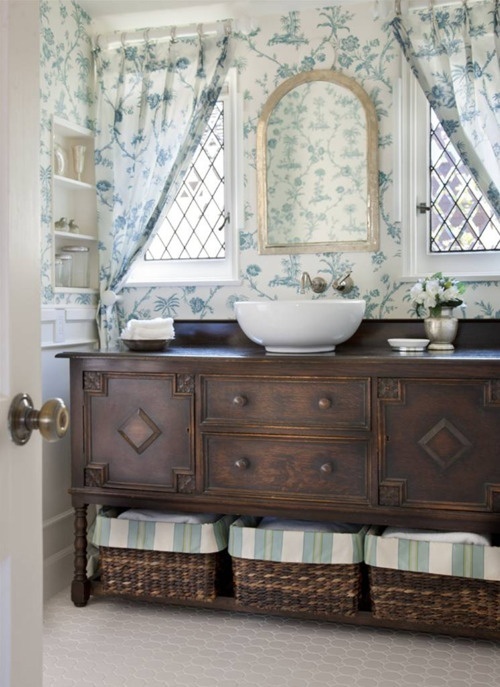 A tisket a tasket…we all love to decorate with baskets! 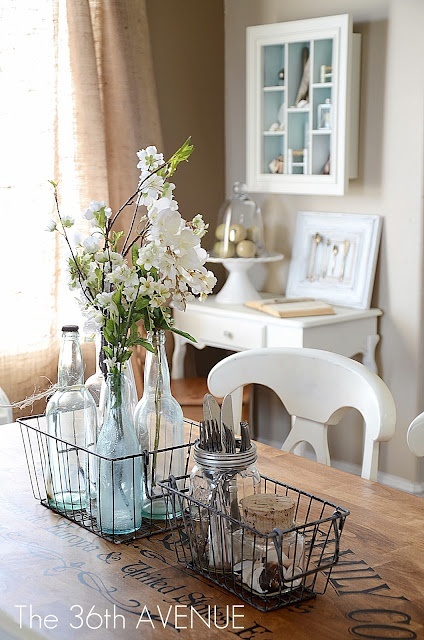 It’s time to look at some useful and fashionable decorating ideas with baskets! 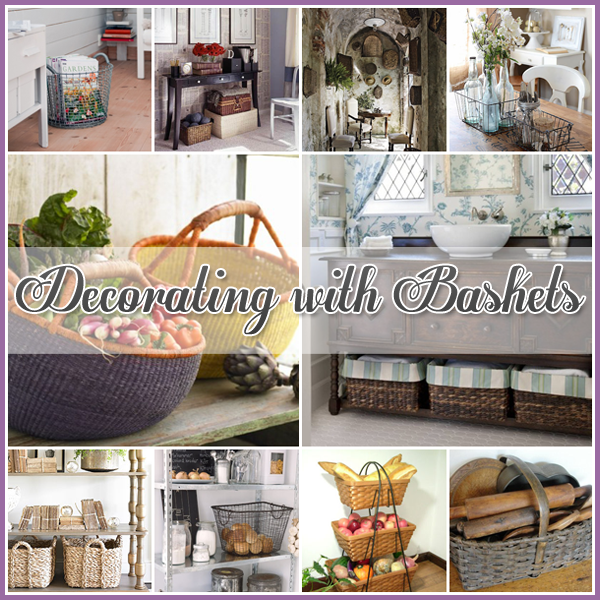 Decorating with Baskets! 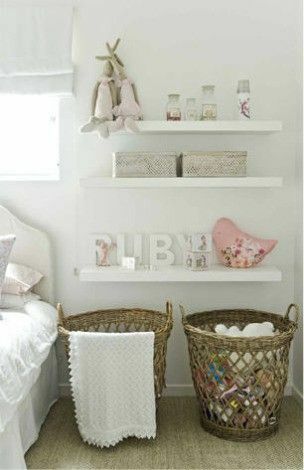 Baskets are so very versatile and let’s face it…they really do look great…doesn’t matter if they are holding toys…magazines…fresh eggs…beautiful produce…fresh bread or organizing a craft room! Here are just a few ways that they are used and one thing is for certain…you will think of a million more ways! 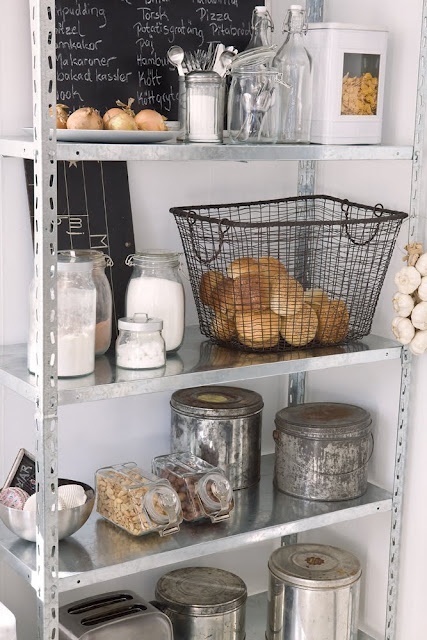 How about these large handled baskets…they look great and make a the floor area under this shelving unit very useful. I know I could have them filled in minutes! 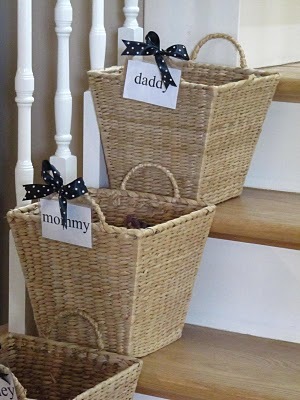 Karen shows us one of her favorite ways to use baskets…tagged with each name of the family member they look fabulous on the steps and serve a very useful purpose! 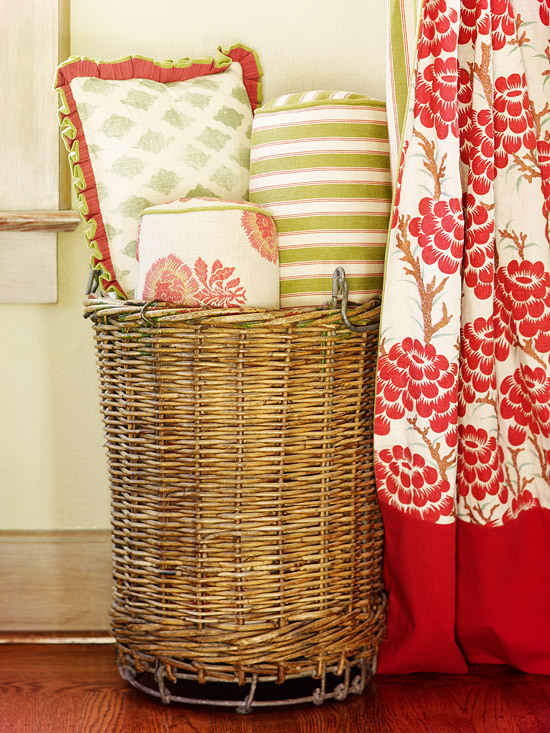 What a great way to store extra pillows…sheets…blankets and more and add a POP of color! 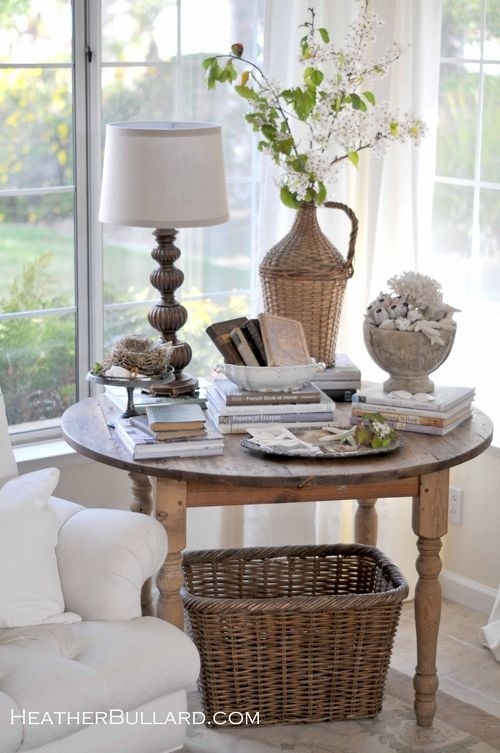 Baskets are so stylish and useful…many pieces of furniture have them all ready built it and why not use one for your coffee table topped with a wooden one…a great way to keep a room organized and tidy while looking fabulous! 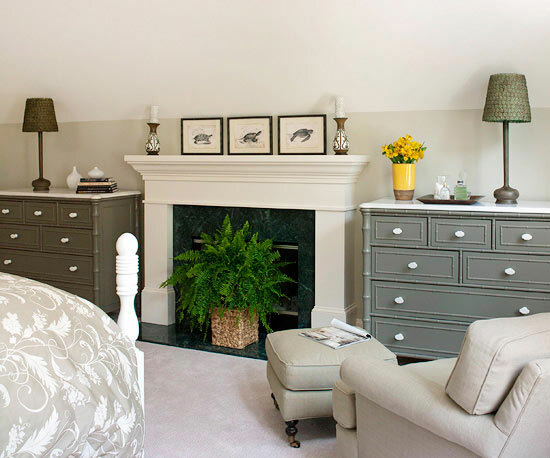 When a basket is perfectly tailored…it can seamlessly blend into a room adding storage and incredible style! 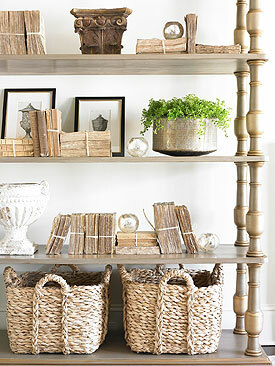 At Heather Bullard…this beautiful basket looks stunning as an accent piece and oh the magazines it could hold! These hand woven beauties are radiant holding natures bounty! 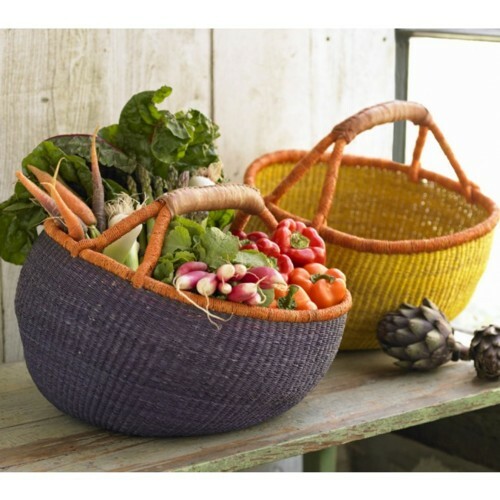 Variety is the spice of life and these baskets are certainly that! 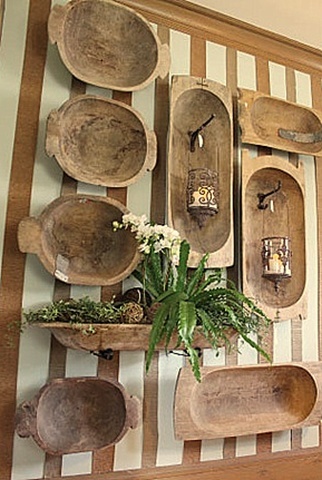 No one says baskets can’t be on the wall…here’s an imaginative display of primitive wood baskets and they look perfect! A natural in the kitchen! 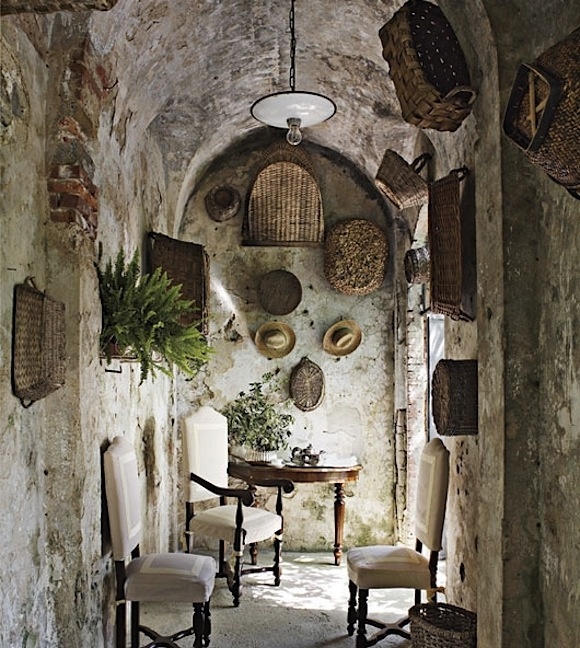 This space features many a woven beauties adorning the walls…I almost feel as though Indiana Jones is around the corner…but talk about drama! 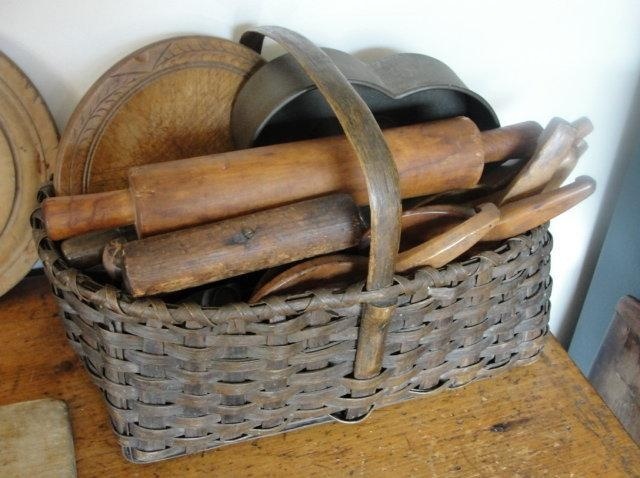 Line them up in the kitchen…a fabulous way to use a hard to get to space…they can hold many essential items that may not be used on a regular basis. I wish I could look this marvelous…just hanging around! I hear the ideas stirring around in your creative mind! Decorative and oh so useful! puts together a medley of every day items wit style! 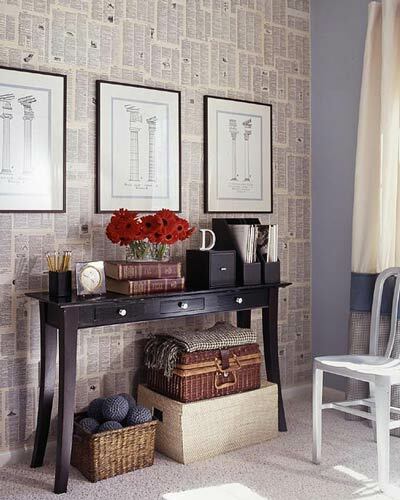 An industrial touch that adds freshness to the room and tons of magazine storage space. 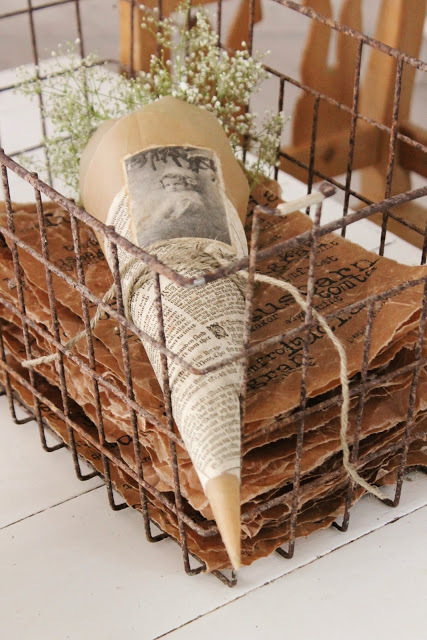 Chippy and rusty…this vintage basket has elegance and grace and is the perfect little additive any room would be happy to hold. Over at Thistlewood…KariAnne displays her baskets with a French touch…numbered and looking spectacular! 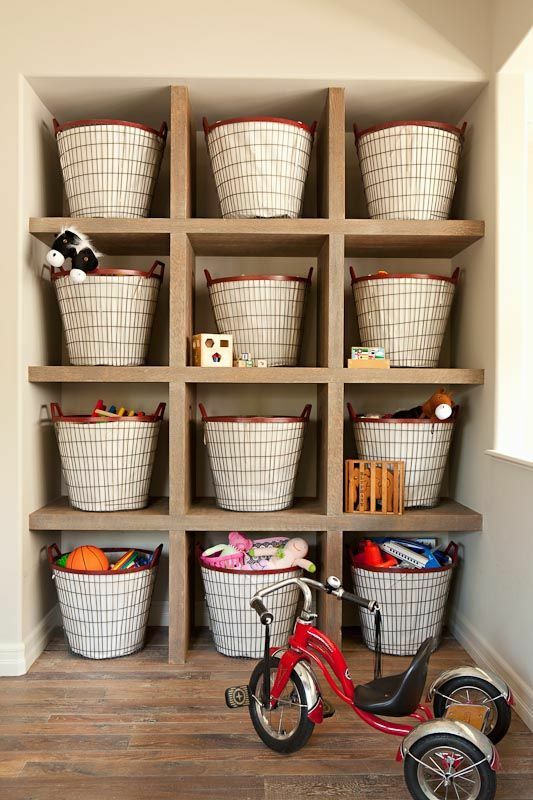 A wall of wired/canvas lined baskets can hold a house full of toys and still look amazing! 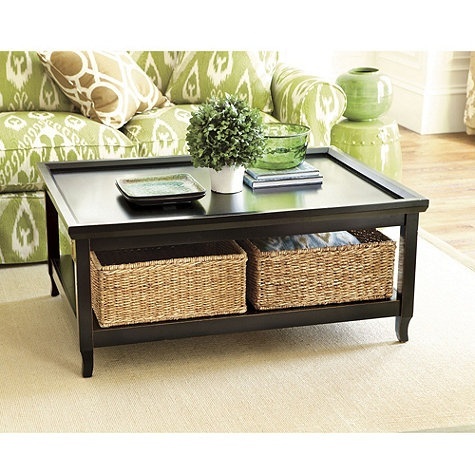 The Coffee Table is the perfect space for baskets…they add a design touch and can hold so many useful items…coasters…magazines…board games and the list goes on! 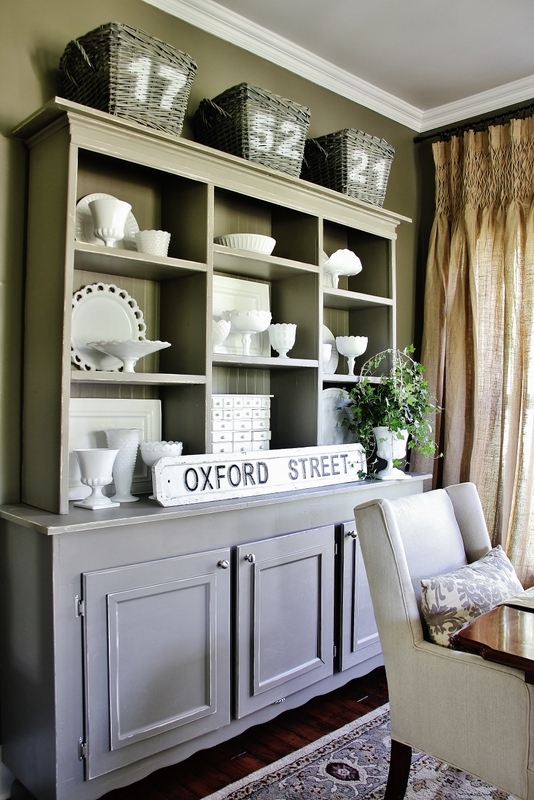 The Perfect addition to a nursery. 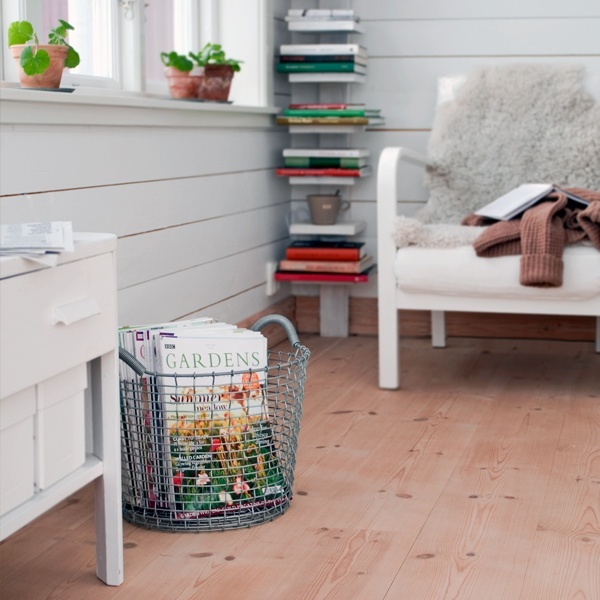 The right basket can solve just about any storage need…and look great doing it! 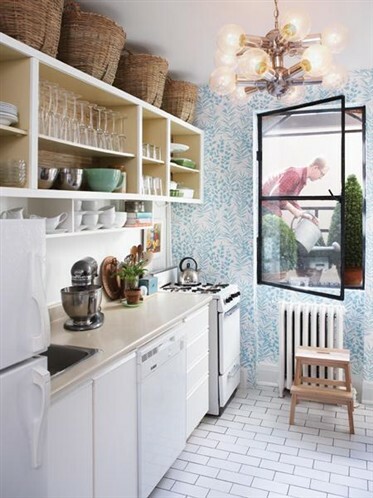 Tuck those baskets anywhere to hold every day items! 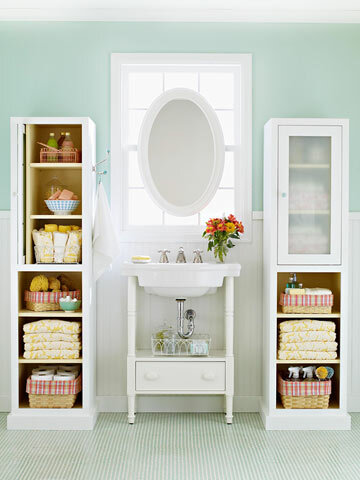 Baskets in the bathroom simply work!!! 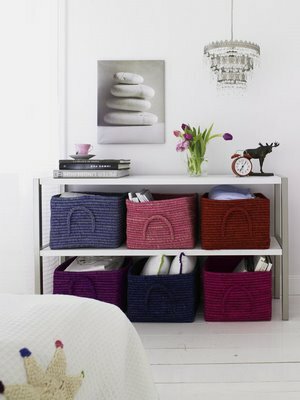 Of course under the bed is always a great place for baskets…great for just about any kind of storage! 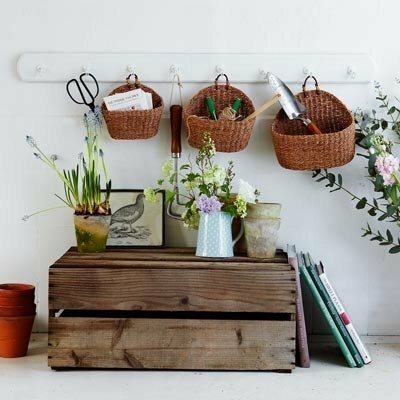 Baskets are great for greenery! 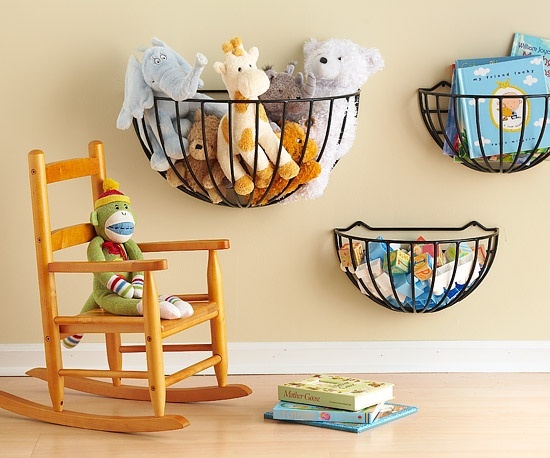 These wire half baskets are great…perfect for a child’s room…a place for everything and everything in its place. Whatever basket or baskets you have…use them in the most creative ways you can think of…they will make you smile…tidy the house… look fabulous and those are all great things! Andrea I’m crazy for baskets! I love using them. I have several throughout the house. Great post, hugs! you ALWAYS have the best and most creative round ups my love!! LALALALOVE BASKETS! 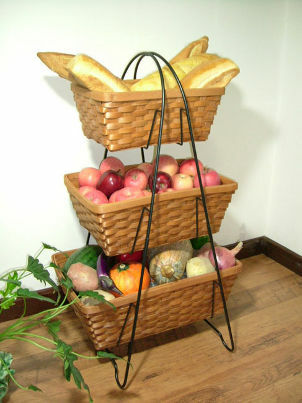 Great organizational ideas- you can get heirloom quality baskets with Longaberger- They are beautiful, functional, and come in different colors. So if you don’t like the country look you can go black or whitewash or even dark brown. Thanks for the beautiful ideas!